One of my favorite things to do when I am sad is to take a walk, preferably in a wooded area, but I have been known to find beautiful sits as I walk down a sidewalk. Gazing at nature scenes is free for the looking whether you are walking through a forest or down the street. There is so much beauty and so much delight that it can take your breath away. This week and next week I am going to use pictures from nature as focus for Visio Divina. Enjoy looking at the pictures, laugh with the little mouse, enter into the joy of prayer with all of creation. Look deeply at the picture and let the colors and little mouse enter your imagination. What feelings does this little fellow on a flower bring to the surface? What memories or stories? 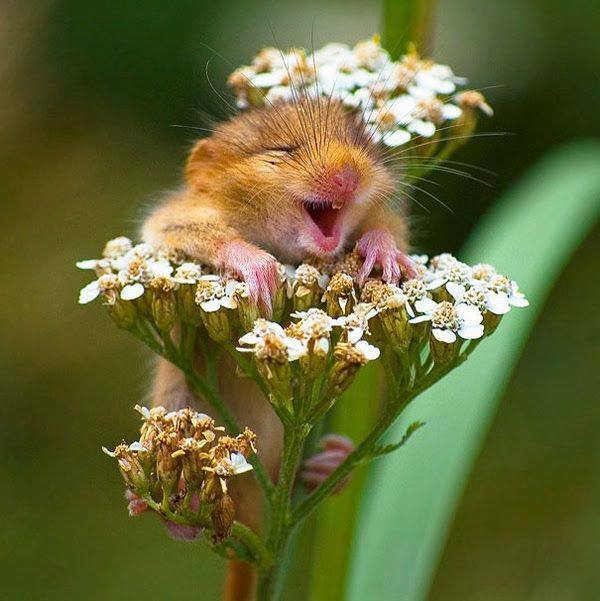 Imagine you are walking down a trail and come on this happy mouse, what does that look like and feel like to you. Respond to the image with a prayer for all of God’s creatures. Offer a prayer of intercession and thanksgiving for the abundance God has graces us with.